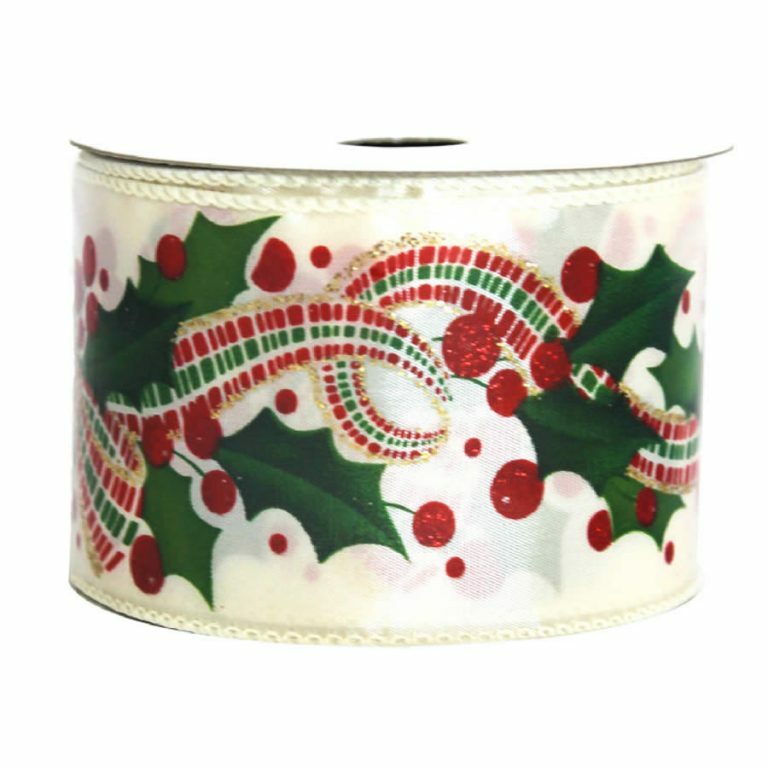 Each 9-metre roll of Berry Holly Leaf Ribbon is approximately 7cm wide, which means that it will create the most beautiful and dramatic bows possible. 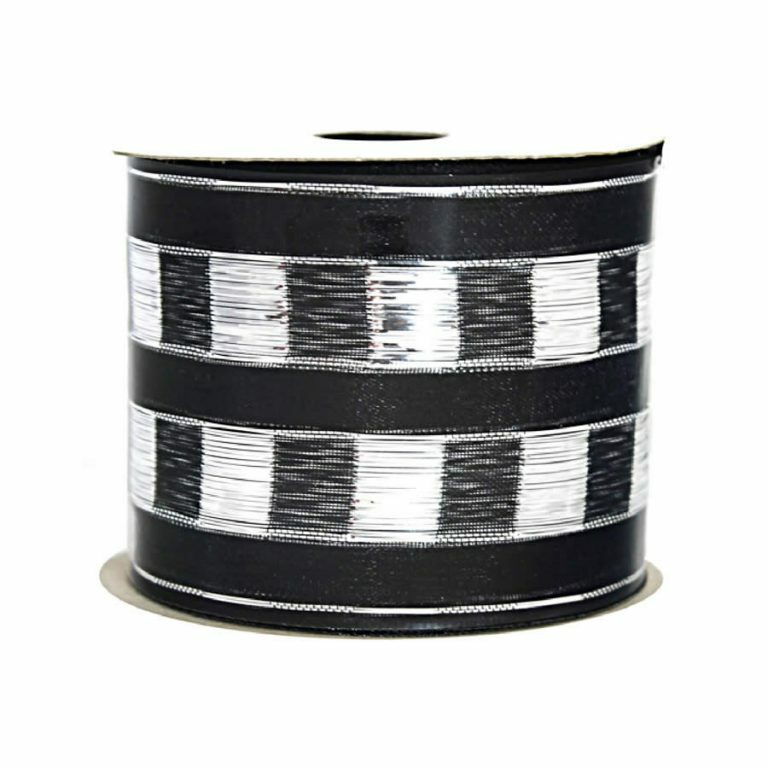 This ribbon also features the very useful wire edge, which allows you to craft and trim with this ribbon while your creations stay in shape longer due to this thin metal edging that helps to secure it. 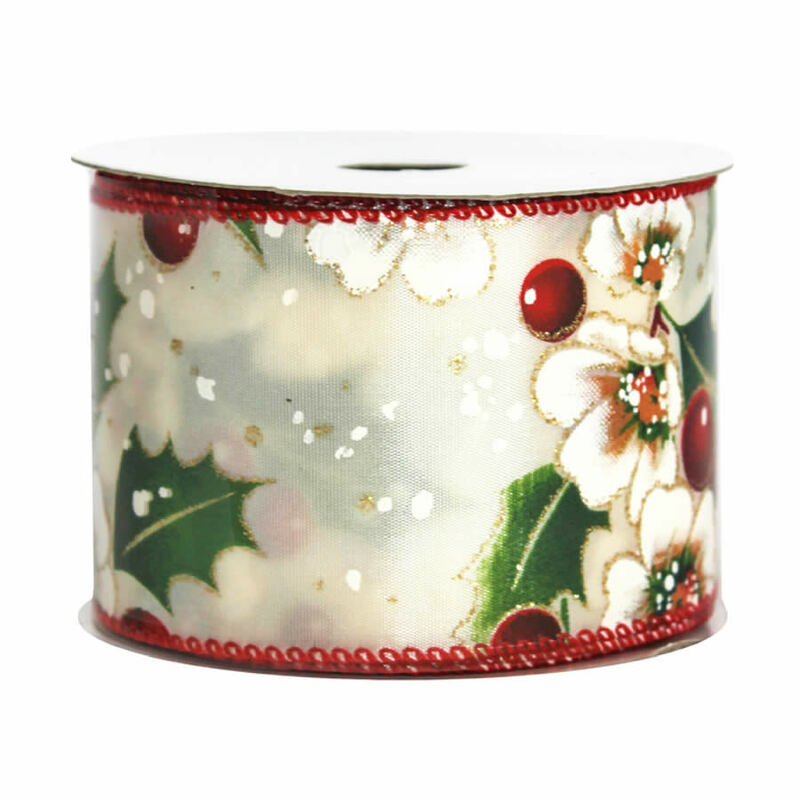 The ivory facade of the ribbon is sheer and features a delightful bounty of holly leaves and plump red berries, and is trimmed in a thin red braid to complement your holiday decor and traditional colour themes. 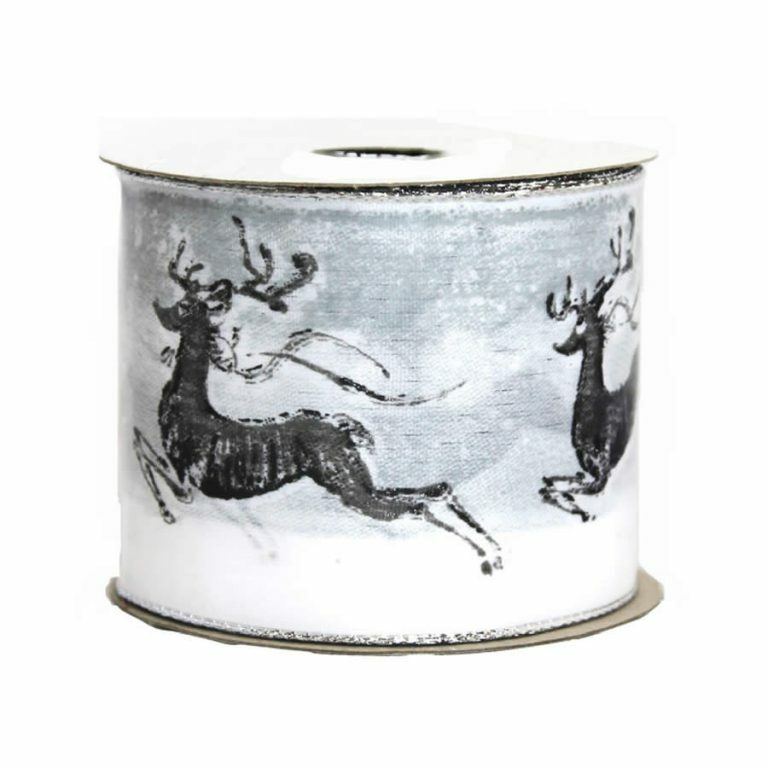 Use this ribbon on a simple package to escalate it to something magnificent, or use this to dress up a simple pine or evergreen wreath. 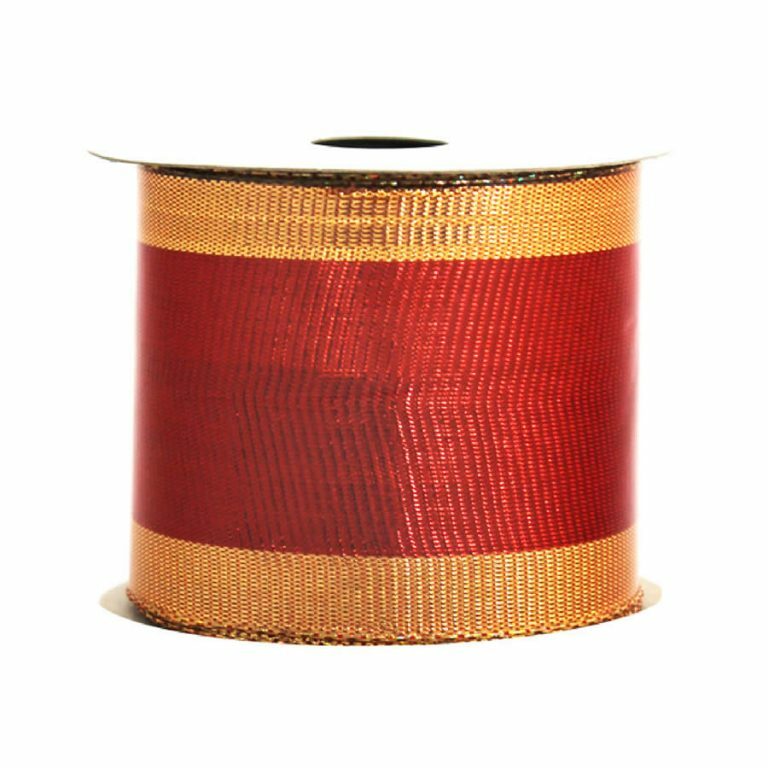 However you choose to use this lovely ribbon, once you do you will no longer be satisfied buying bows or trims. You will make your own using this fine quality ribbon!